Simple and delicious healthy snack to get your greens! Preheat the oven to 375. Wash the Kale and dry thoroughly. Rip into 1 inch pieces, discarding the tough stems. Spread out on a baking sheet with parchment paper covering it. Mix together the fat, sauce, and spices in a small dish, and pour over the chips. Using your hands mix the sauces all over the kale, and then rearrange on the baking sheet so they are not overlapping each other too much. Bake for 10 minutes, flip, and bake another 10. In the last 10, Watch your chips a bit more closely. 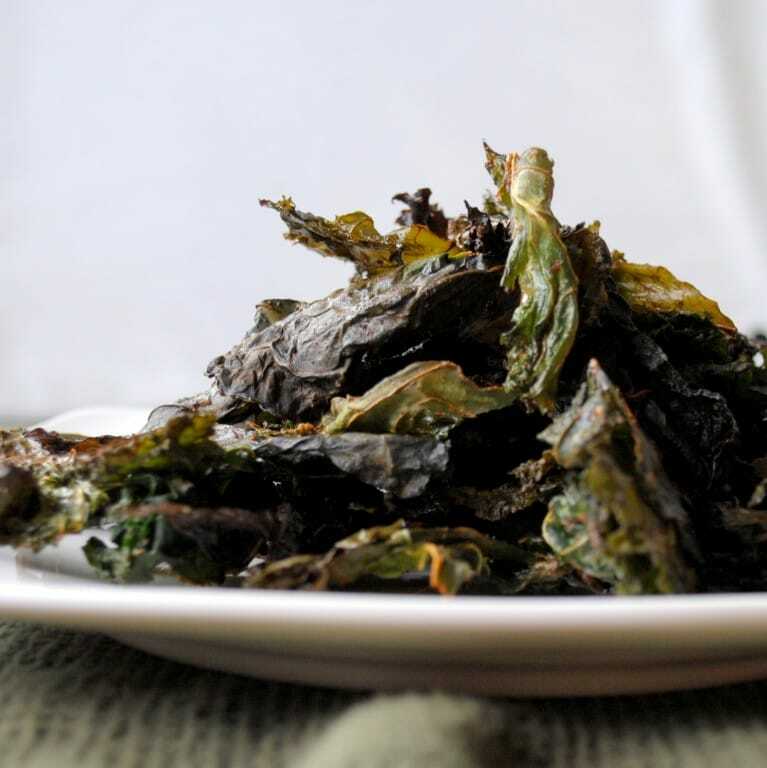 The freshness of the kale can change the cooking time slightly, and you are looking for crispy and crunchy but not burnt kale! Remove from oven and enjoy. I like to eat them immediately best, but they can be sealed in a container for a day or 2, although they will lose their crunch. Don’t worry, it’s EASY to eat an entire batch by yourself. I’ve done it many times.